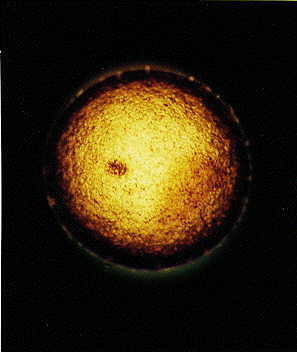 This is a photo of a llama embryo 7 days after fertilization. 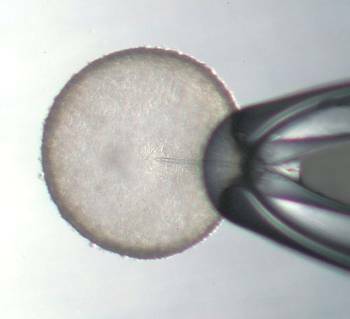 The embryo is less than 1mm in diameter at this stage and can be transferred into the uterus of an unrelated female who will be its surrogate mother. The dark spot is the part that will become the baby llama and all the rest becomes the placenta. The story of how we became interested in advanced reproductive techniques (and why) was printed in the Alpaca Registry Journal (spring 2000). Click here to see the story in printable form. cross baby, a female, named Kamilah . Ongoing research at the Camel Reproduction Centre in Dubai, United Arab Emirates, has resulted in the birth of two babies who were crosses between Old World camels and South American camelids. 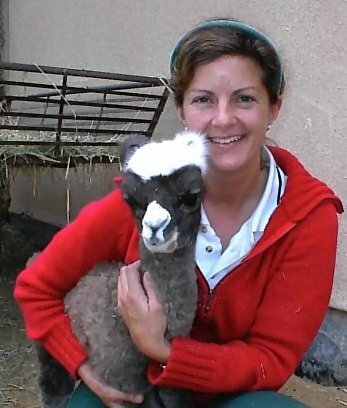 The story of this project, written before the birth of the female shown here, was published in the Alpaca Registry Journal. Click here to see the story in printable form.